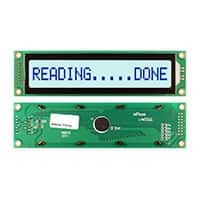 I found a nice back lit LCD display with 16, 1/2" high characters... not cheap (>$20) but with 16 characters I can display decibel level and frequency at same time. Probably use a DPOT to pad scale the input range down to the 3V codec. Now that is probably more bits and I/O than I need, but why scrimp? I need to soak this in beer tonight. After soaking it in beer you might want to start a thread in the Design area of the forum. I'm liking this. Other than the analog front end for the measurement A/D and the balanced output there doesn't seem like much additional outboard circuitry would be required. Rather than a DPOT you might consider a resistive pad since the DPOTs THD would limit you if you ever wanted to use the same engine to perform THD measurement. You would want a low distortion coarse output pad too wouldn't you? Wayne can you split this topic and move this veer to another forum? Moderators should have that capability. If not I will start another. I will move that. Not something I do often so I have to remember.